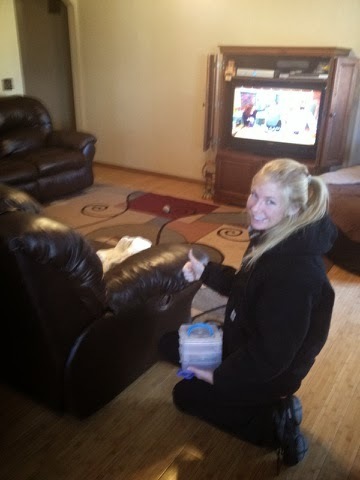 Leather furniture is a wonderful investment. 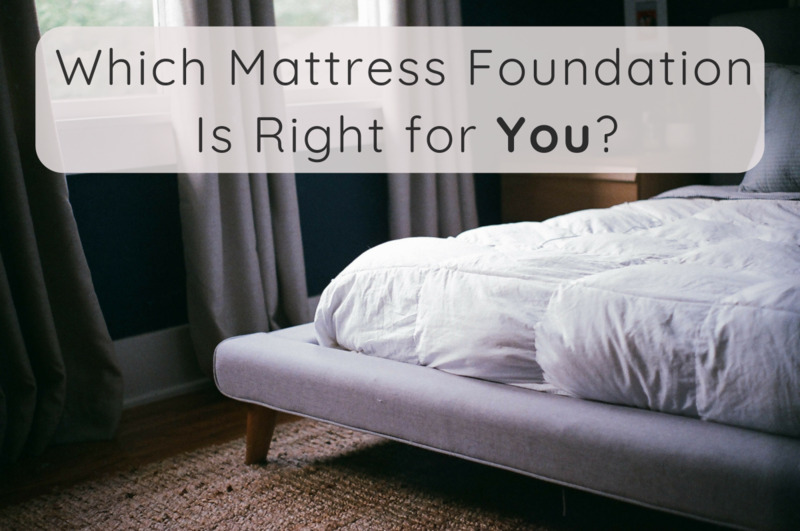 It looks and feels luxurious, it's elegant and timeless, and it can last you for decades! 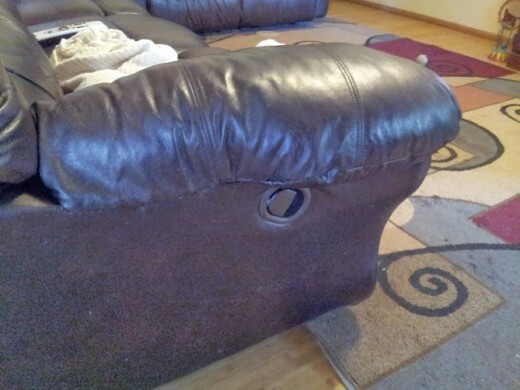 Most people that have leather furniture, jackets, and other goods know that they are not bulletproof. 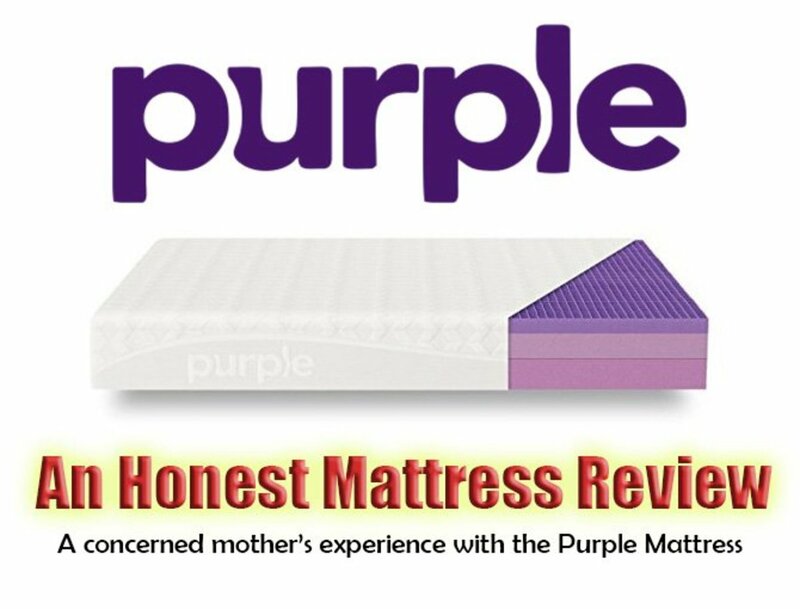 Although it is resistant to water and other damages, it can still be susceptible to damage, tears, and rips. 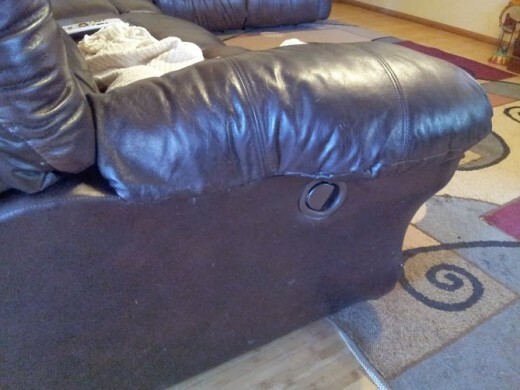 I am here to tell you that leather can be saved and isn't ruined forever if it gets a rip or tear, and sometimes you won't even be able to see the damage at all! 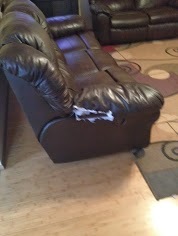 What Can You Do to Repair Torn Leather? It makes no difference whether the tear is clean or jagged. 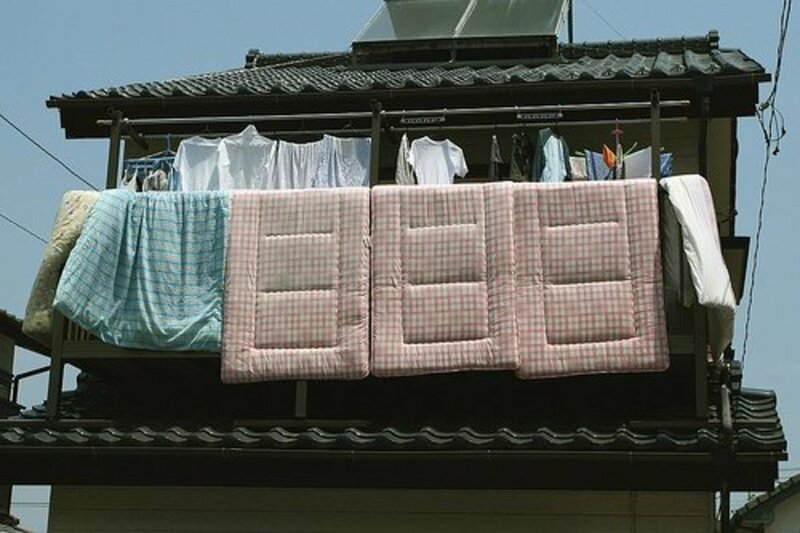 What is important is where and how the rip is situated.Cushions can be tricky because they can be varying shapes and sizes with multiple seams to consider, as well as textures and strengths. 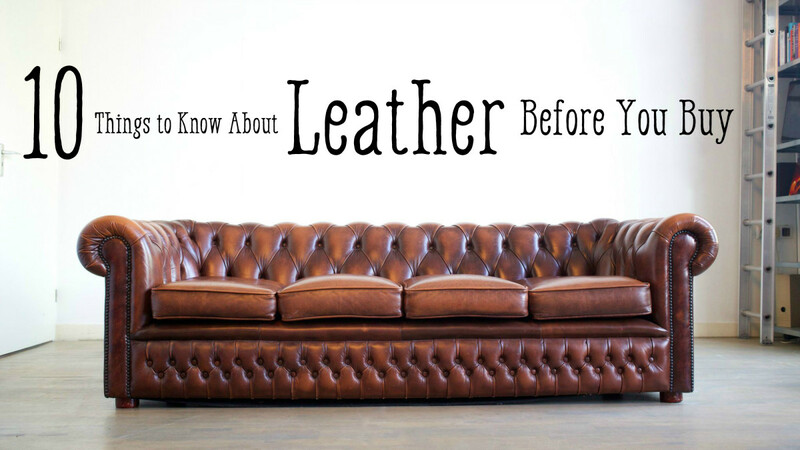 The ones that are extremely difficult or impossible to sew are on very overstuffed cushions, wide rips or tears where a section or large area of the torn leather is missing, or on overly-taut and stretched leather that has already torn because of being stretched too tightly. Let's talk about these types of tears first, and if or why they can't be fixed. 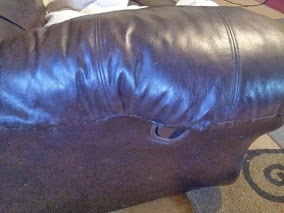 An overstuffed cushion or armrest is a very tricky fix because there may not be enough leather to close the gap, or if you sew it shut, each puncture from the needle will create more weak points, thus making it a higher risk to tear again. 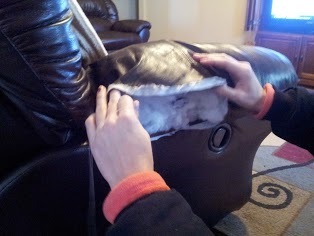 Also, overstuffed areas are very hard to pull back together to sew in the first place. 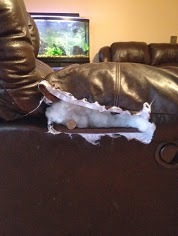 If it is a seat cushion, you may be able to get around this by removing a small amount of the stuffing below to create the space you need to pull the torn leather edges together again. 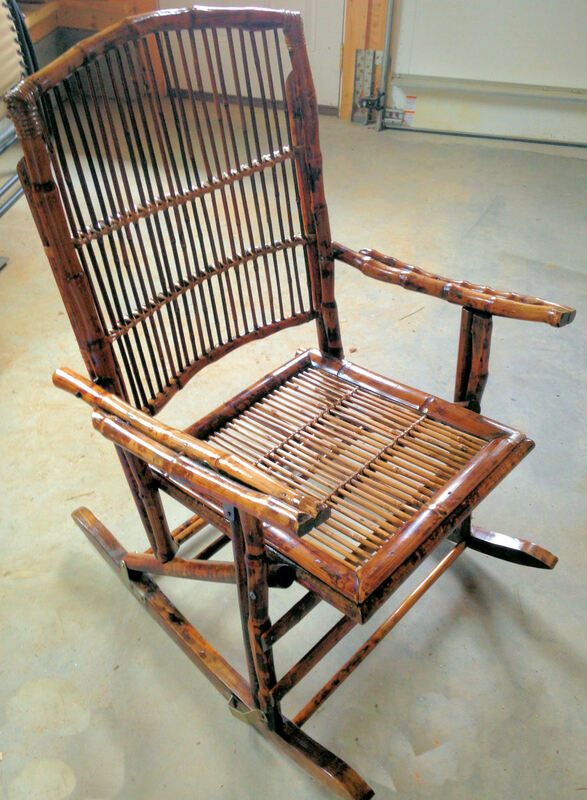 If the leather is overly taut or too tight to begin with, and it has torn here due to the stress of being pulled to tightly, you can be assured that sewing will only add to the tautness you started with. The new holes from the sewing needle will once again create tiny perforations, which are weak points, especially weak because they are so close to the edge it doesn't take much to rip thread right through them. Also, even if you manage to sew an area like this, it will be so extra tight since sewing needs to be stitched at least a quarter of an inch (.25 in) from the raw edge. This added tightness and pressure will probably pop open the stitching or worse, re-rip the leather in a larger way that will be un-salvagable. 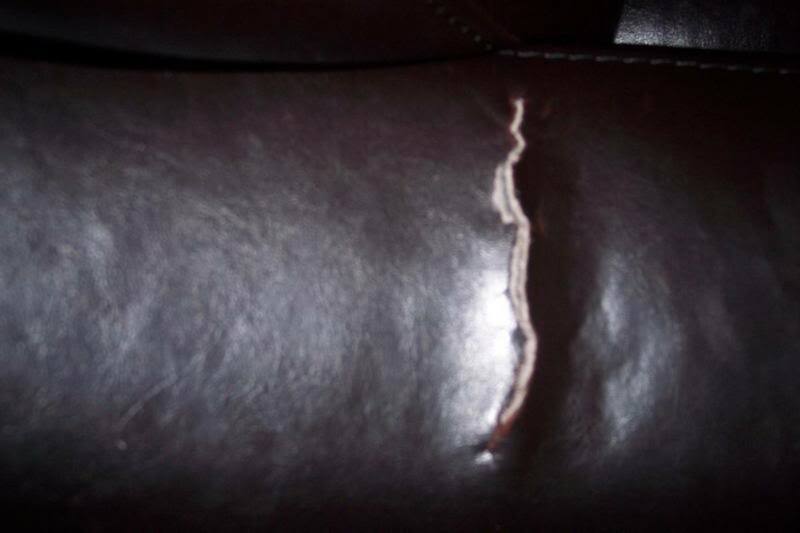 The last type of tear that is not able to be stitched is where a section of the leather has been ripped away, or removed, from the rest of the leather. When there is a piece missing, this creates a void. When the raw edges are pulled back together, there will be large ripples, divots, and sometimes misshapen areas on the once-smooth facing. If a tiny sliver is gone you shouldn't be affected. I would consider a missing chunk to be of an inch in width or larger to be a problem. 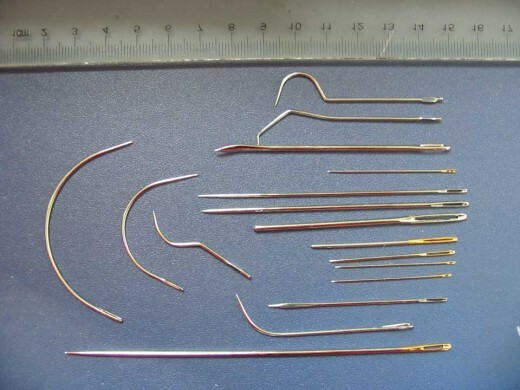 There are a wide variety of leather needles, the most helpful are either straight or curved hand needles designed for leather. 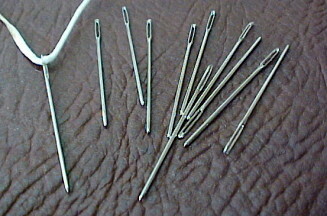 Leather needles are thicher, stronger and always made of solid metal. Plastic will snap before you get to stitch #2. 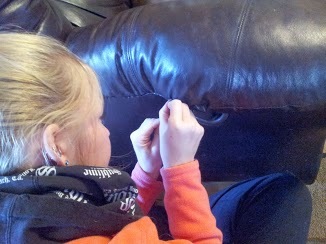 They have wider threading holes. 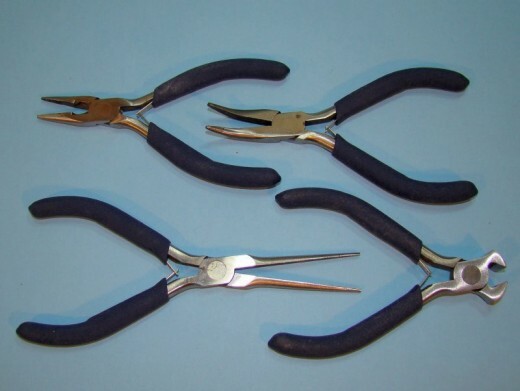 Small hand pliers will be needed to help you hold the needle and to pierce through tough layers or double thicknesses of leather. Heavy thread of at least 1mm or greater will be needed.Thin ÃÂ®ular sewing threads will snap easily. 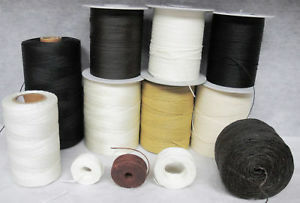 Try to find thread close to the leather's color. 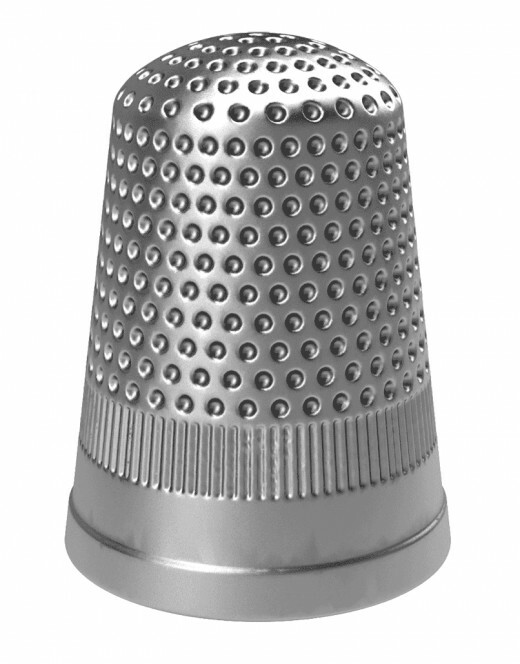 Thimbles! These will be VITAL to not getting pierced by the leather needles. Here are just a few of the basics you will need and that I like to use. Curved needles are my favorite and the only way to go if it is a restricted repair, as in, the leather is mounted down and you can not (and would not be able to if it wasn't torn) see the underside. Also it is a great idea to have scissors set aside only for sewing projects because they are easily dulled by cutting paper and other things that are not material. Dull scissors are of no help at all if for some reason you need to trim the leather. There are a few vital techniques and tools you will need. 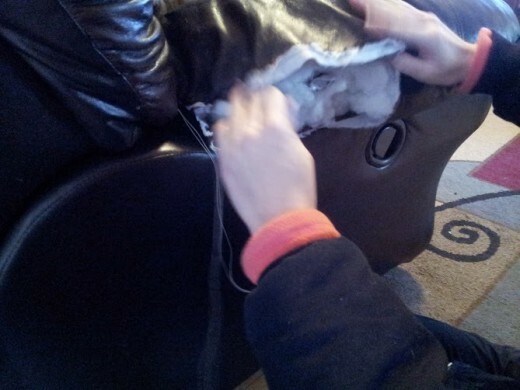 Stitching through thick furniture-grade leather is kind of hard because the material is so thick and dense. 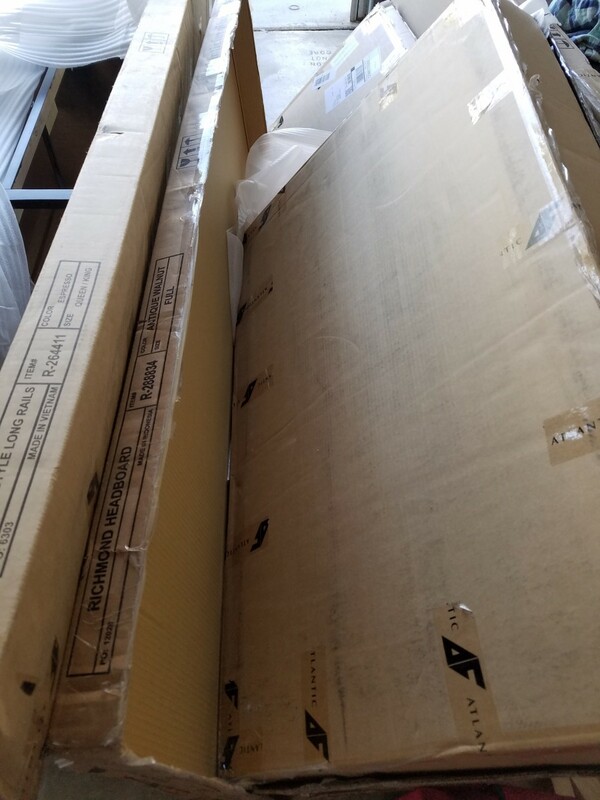 See the photo list above to find out what you'll need to get started. Begin by cutting off a long length of thread, long enough that it is 2 or 3 times the length of the tear when it is DOUBLED OVER. When you thread the needle that thread is going to be pulled down and knotted to itself at the end, so it is 2-threads strong for the entire length of thread. Knot the thread at the end to itself. You can be cautious and double knot it. I usually do. Start at one end or the other of the tear and push the needle through, starting from the underside so the knot is hidden INSIDE of the tear. Now push the needle through the right side of the leather directly across from the first stitch, push the needle through to the underside and then back through the right side, making the distance less than a centimeter between these strokes. This is very important, keep the stitches directly across from each other on either side of the tear, and make sure every stitch ends with the needle and thread coming up on the right side of the leather. The next stitch will be across from the last hole you made on the opposite side of the tear. Keep moving along the rip, stitch in and out on the same side, making sure that the thread always remains on the right side of the leather and keeping stitches small and neat. Every other stitch be sure to gently pull the thread tighter, making sure there is no slack, this will allow a bulge or bump in the repair. 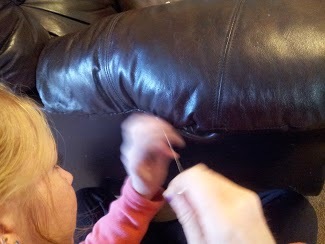 Once you have sewn all the way to the end of the tear, you will need to knot the thread to itself, keeping everything tight and double checking to be sure there is no slack or loose thread along the seam. Once you have tied a knot that has been double knotted for extra strength, we are going to hide the ugly knot from view by taking the needle and guiding it straight down in the crease between each side of the tear that is now sewn together. Guide the needle back out the the right side of the material several stitches down in one of the existing holes. 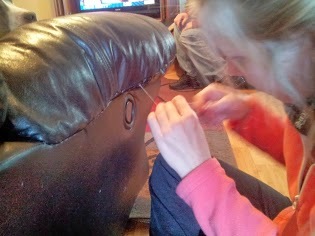 Pull the thread very tight so that it seems to be creating a pucker in the repair (don't worry!) and once the knot has dipped down into the abyss of the repaired seam, snip the knot off close as you can to the leather, being very cautious not to cut any thread except the one attached to the needle. As soon as that thread is snipped, the needle will be released and so will the excess thread, and the tension of the tightness from the knot will pull the remaining thread down into the seam, hidden from view. If you still see the little end where you cut off the thread, gently hold each end of the sewn repair and gently stretch it from end to end and this should pull the thread out of view. 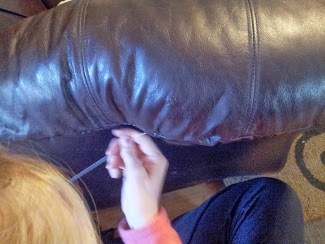 You may need to cut off the little extra thread you see if it still is exposed. making sure you have a secure knot is very important! 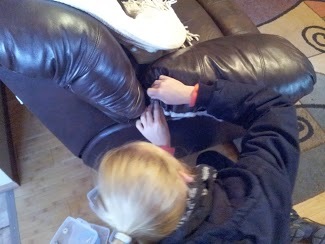 The stitching technician with the completed stitching leather tear repair ! Great article! Thanks for your helpful instructions!